Home Fashion Christian Dior Fall 2017 Couture Collection brings the world to Paris! 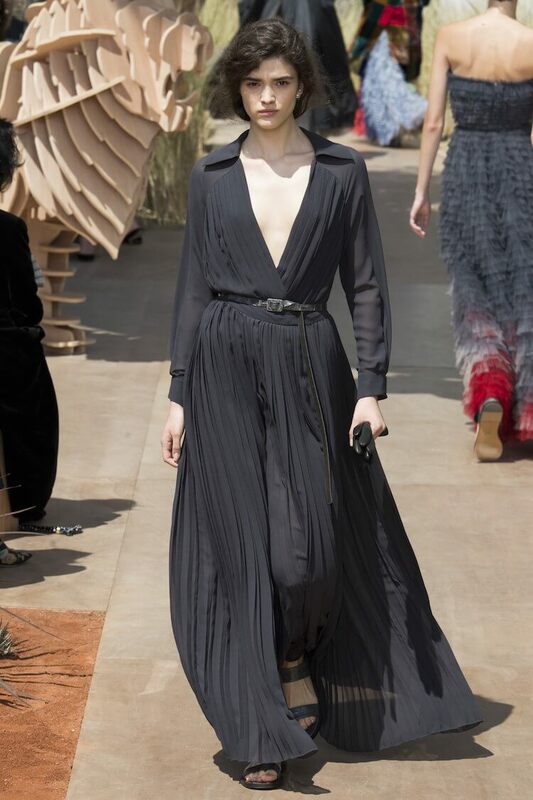 French Fashion house Christian Dior celebrated it’s 70th anniversary with a grand Christian Dior Fall 2017 Couture Collection fashion show outside the Invalides museum in Paris. 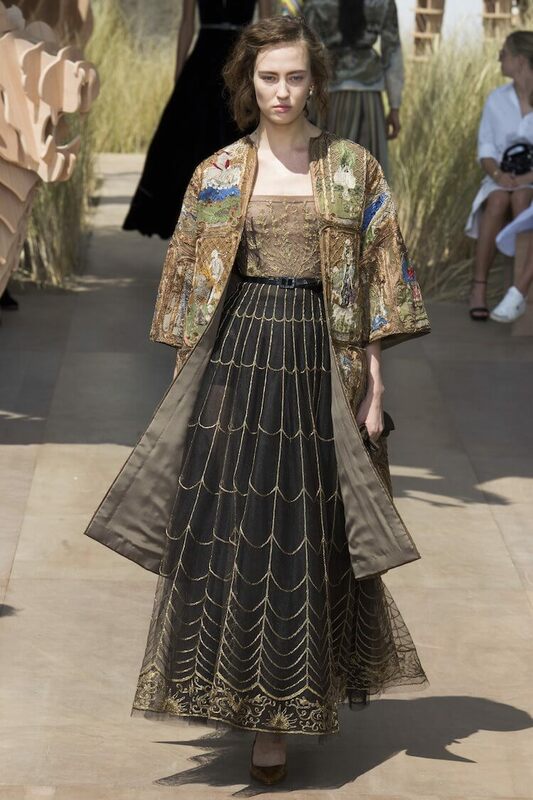 Presented by designer and Dior creative director Maria Grazia Chiuri, the collection was purely inspired by founder, Christian Dior’s travels around the world. The iconic designer started globe trotting in 1947 and his experiences deeply inspired the show. The official theme for the show was travel, maps and exploration. 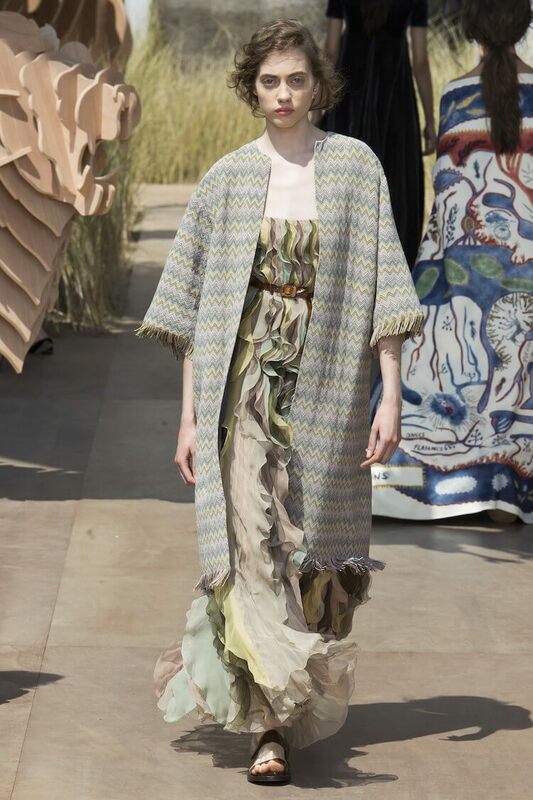 Models walked down an earthy ramp sided with ferns and dotted with wooden lions and giraffes. Created solely by Dior creative director Maria Grazia Chiuri, the collection seemed to be heavily inspired by the 1950s as she brought back the iconic Bar Jacket and gray skirt suits. 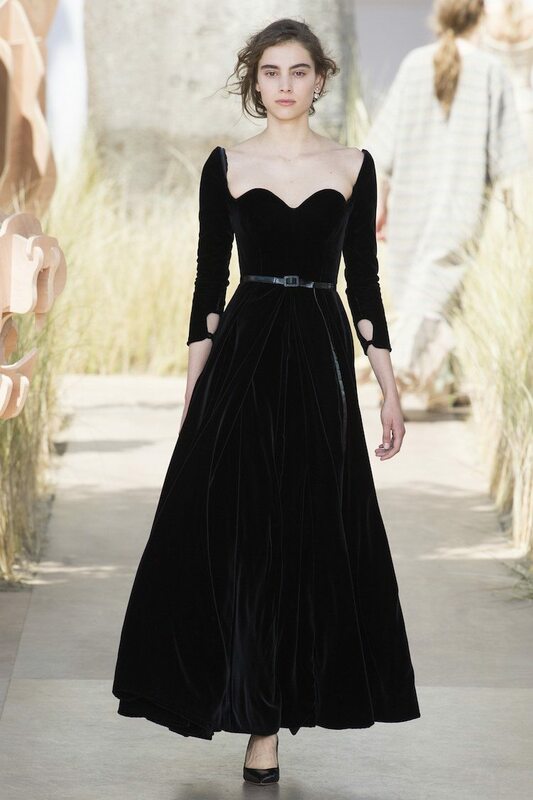 “A complete collection should address all types of women in all countries,” wrote Dior in his autobiography – and Chiuri’s collection tried it’s best to live up to this philosophy. However, aside from embroideries and paintings of elaborate maps, this collection was cosmopolitan than international. 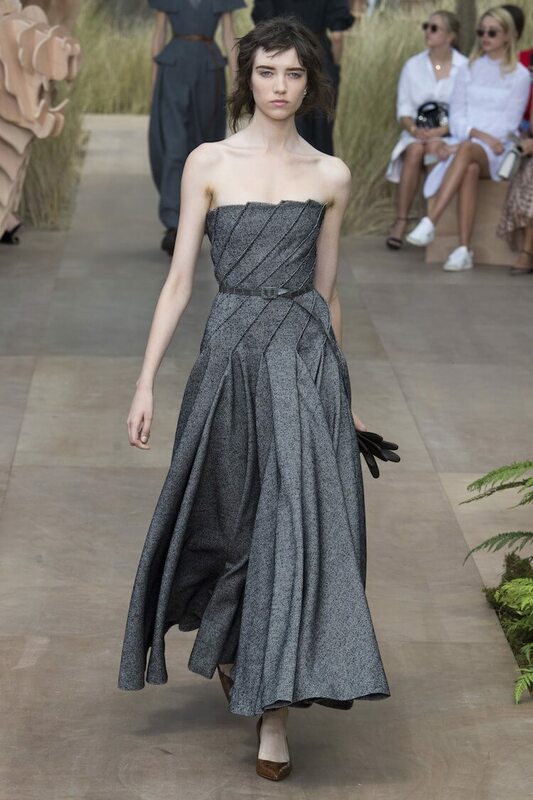 Being inspired from Dior himself, the collection was very, very French and beared imprints from his original collections, living up to his iconic Dior grays. 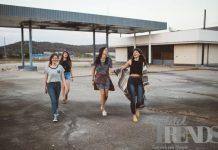 Nonetheless, it’s true to the house’s heritage, it’s completely different to see the real archive and the image that some people have about Christian Dior. 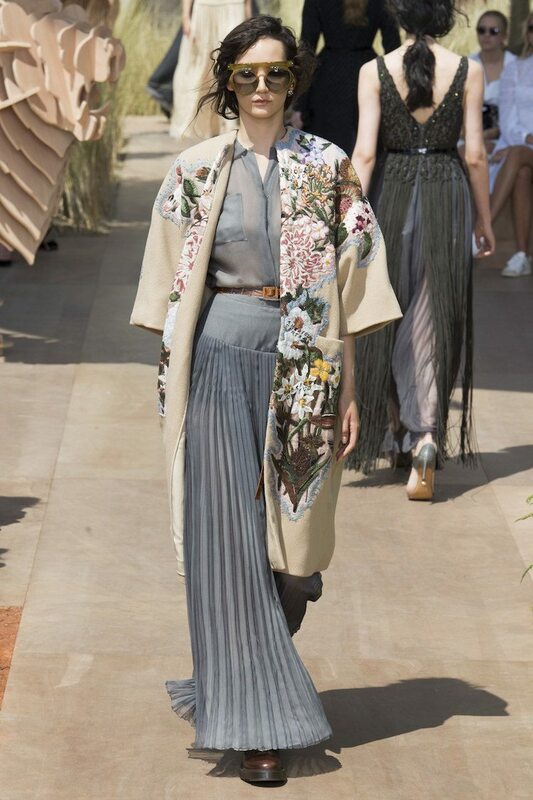 There’s so much daywear,” says Chiuri. 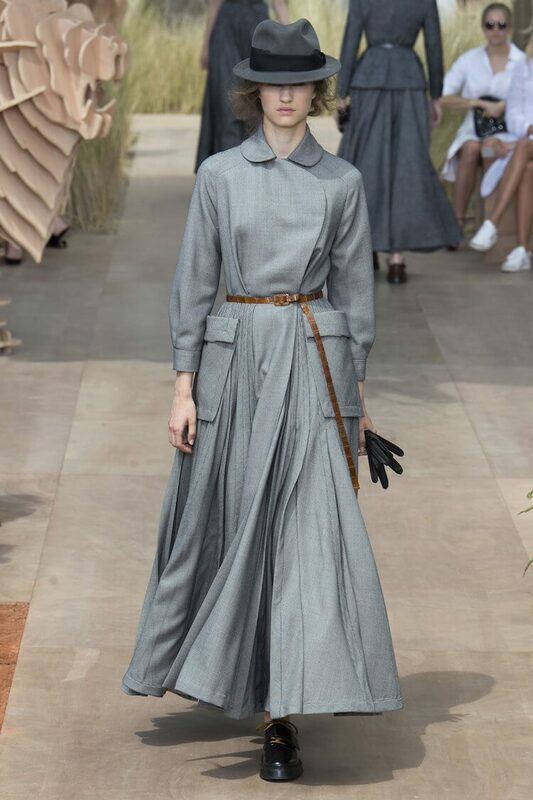 Though Chiuri’s reliance on heavy menswear fabrics was unusual for a modern couture show, the sturdy swagger of a wrap-neck jumpsuit in wool herringbone with big functional pockets definitely appealed to the modern feminist crowd. To celebrate the fashion house’s 70th anniversary, Christian Dior will also be showcasing a retrospective collection from July 5 to Jan. 7, featuring over 300 dresses from the house founder the designers who succeeded him. The show will be held at Les Arts Decoratifs museum, Paris. Next articleiPhone 7 vs. OnePlus 5 – Which one should you buy?